Catholic Schools Week begins the last Sunday in January. This year it is Jan. 30- February 5, 2011. · What is Catholic Schools Week? Catholic Schools Week is an annual national celebration of the important role that Catholic elementary and secondary schools across the country play in providing a values-added education for America's young people. Catholic schools are proud of their educational network that emphasizes intellectual, spiritual, moral, physical, and social values in their students. Catholic Schools Week is a key part of the yearlong National Marketing Campaign For Catholic Schools. · What is the theme of CSW? · What does Catholic Schools Week celebrate? Catholic Schools Week celebrates education that goes beyond preparation for a secular life ─ it is education that prepares students for a Christian life. CSW also celebrates the high standards of excellence and the quality of the education available to all students in Catholic elementary and secondary schools across the U.S.
· What is the purpose of the Catholic Schools Week celebration? The purpose of Catholic Schools Week is to build community awareness of, and involvement in, Catholic schools throughout the country. During this week, many dioceses and schools encourage parents to take full advantage of the benefits of local Catholic schools by enrolling their children in those schools. CSW also is an occasion for schools to interest citizens in volunteering their time and talents to the local Catholic schools. 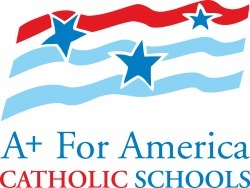 · Who sponsors Catholic Schools Week? Catholic Schools Week is a joint project of the National Catholic Educational Association (NCEA) and the United States Conference of Catholic Bishops. (USCCB). Individual dioceses and local Catholic elementary and secondary schools develop and promote their own CSW activities each year. · How long has Catholic Schools Week been around? The Catholic Schools Week celebration became an annual event in 1974. The first national Catholic Schools Week slogan was "Different Where It Counts‑‑Message, Community, Service." Themes for each year are listed below. 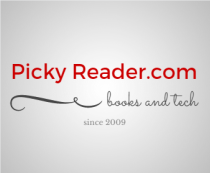 · Where can I learn more?